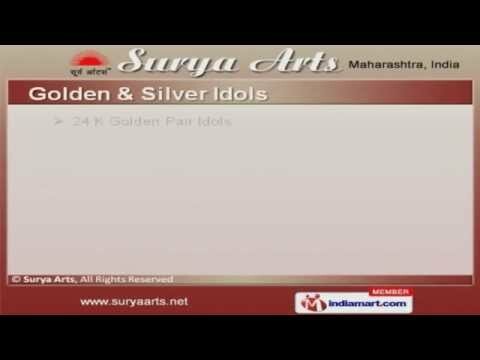 Welcome to Surya ArtsManufacturer, Supplier & Exporter of Gold & Silver IdolsThe company was established in 2004, at Mumbai. Laxmi Manufacturer, OshmiJewellers & Sweta Jewellers are some of our prestigious clients. Stringent quality tests, Total value for money & customized solutions make us standapart from also-rans. Desktop Gifts, Trophies, Silver & Gold Plated Cutlery are the products that we offer. Our Golden & Silver Idols are best in the industry amongst others. We also provide Desktop Gifts & Key Chains that widely appreciated in the market. Along with that we offer Bags & Toolkit that are extremely reliable. Our Trophies & Pipal Leaves are a class apart. Silver & Gold Plated Cutlery offered by us are of unmatched quality.